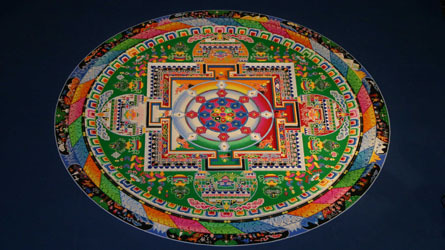 An 8ft sand mandala created at the Los Angeles County Museum of Art as part of the Nanomandala project. 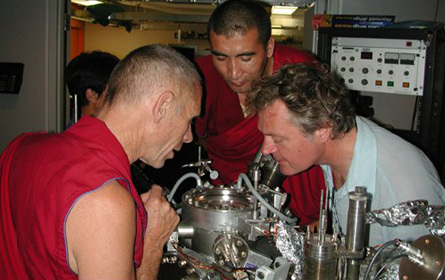 Nanotechnology is, I suggest rapidly becoming the all embracing [r]evolution which, perhaps, might be the catalyst which ties humanity together. Dare I wax philosophic in this venue. I was shocked to learn yesterday that N.Mandela (the other mandala) is dead! “To see a world in a grain of sand and heaven in a wild flower, Hold infinity in the palms of your hand and eternity in an hour” nice log, thanks..